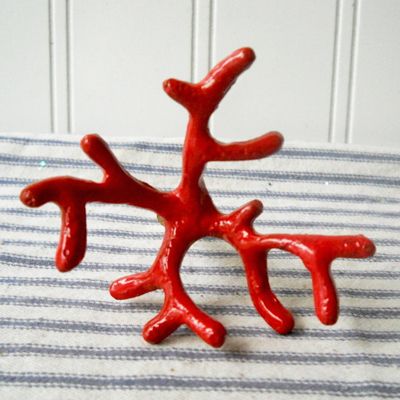 Add a coastal touch to doors, cabinet doors, dresser doors and more with this Red Metal Faux Coral Knob. Featuring a slightly textured design with a red painted finish, this knob is perfect for updating tired cabinets and drawers.$12. Buy here.